It's Prom Time! Save $40 OFF All Prom Tuxedos/Suits! Prom Sale! 10-30% Off Prom Gowns! Don’t Forget Shop late till 8pm on Thursdays! Now Through 5/3! 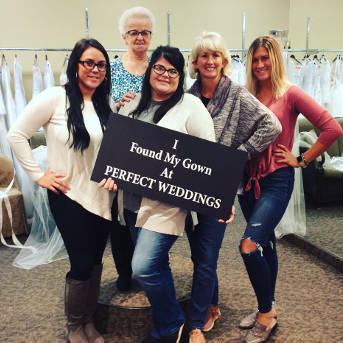 And if you-re looking for a bridal boutique that has a diverse line of unforgettable wedding gowns, look no further that Perfect Weddings in Lancaster, Ohio. From classic and chic, top trendy and modern, our bridal collection has something that will cater to the personal choices of every bride. Brides who have shopped with us before love the attention to detail, quality, and value that comes with every one of our dresses. To view the vast majority of our dresses, we recommend coming into our store after making an appointment. 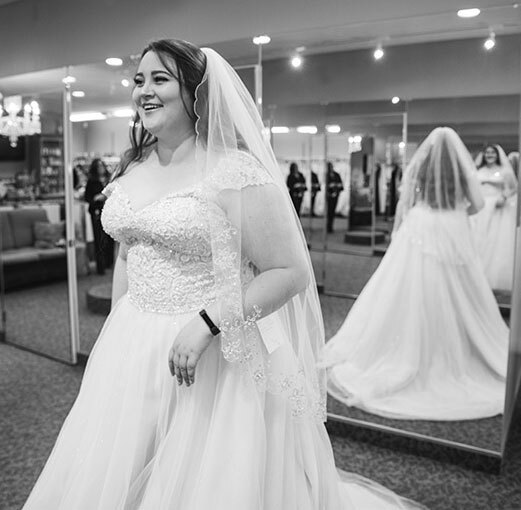 Before going to Perfect Weddings I had gone to 2 other bridal appointments and was completely disappointed with my experience and dreading shopping for a dress. 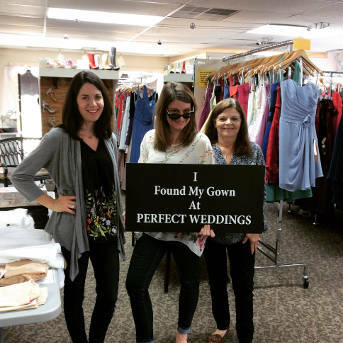 We went into Perfect Weddings to shop for brides maids dresses and after talking to our consultant I was blown away by their team and felt right at home. Even though we didn’t have an appointment for it, she had me try on dresses and I ended up finding the one I loved and we bought it and the bridesmaids dresses that day. Their team of ladies made me feel beautiful and right at home! She was totally on my side the entire time and made sure I was happy with my choice. I cannot thank them enough! I love my dress and my bridesmaids dresses! !